Why is that? World outside seems to be almost certain that this time there is no non-war way out. Fatalist, optimist, or something else? Maybe they think (as I do) that each piece of NoKo artillery has its address marked on a SoKo missile? President Evil "has lit the wick of war",says NoKo. North Korea has reportedly escalated the war of words with Donald Trump, accusing the US president of lighting "the wick of war". Speaking to Russia's state-run TASS news agency, North Korea's Foreign Minister Ri Yong Ho said his country's nuclear programme guaranteed peace and safety in the region and would not be a matter of discussion. "With his bellicose and insane statement at the United Nations, Trump, you can say, has lit the wick of a war against us," TASS quoted Mr Ri as saying. "We need to settle the final score, only with a hail of fire, not words." Mr Ri was referring to the US president's speech at the United Nation, where he threatened the “total destruction” of North Korea should it attack the US. Last month, the foreign minister also said Mr Trump had declared war by tweeting that leader Kim Jong-un "won't be around much longer". Trump on Kim Jong-un: "Rocket man is on a suicide mission for himself"
"We have almost reached the last point on the journey towards our final goal - to achieve a real balance of power with the United States," Mr Ri told TASS. Mr Ri has previously called Trump "President Evil" and his comments are likely to fuel the bellicose exchanges between the US President and Mr Kim. Tensions between North Korea and the United States have risen in recent weeks over Pyongyang's nuclear weapons and missile programmes. Very misleading headline for CNC machines are hardly home made tools. Recall in the farcas in the mid 2000 decade time frame when maverick objected to ArunS comments about lack of CNC machines contributing to the S1 less than optimum output? And the vituperative attacks by all and sundry? Here is proof of the importance of CNC machines to TN programs. Even now OFB factories are stymied by lack of CNC machines and are far behind factory modernization. Year after year CAG reports bemoan this fact yet nothing happens as the industrial policy is in doldrums with import mentality. In 2009, a pop video from North Korea celebrated a new national hero — one that outside experts would later realize was at the heart of the secretive state's banned nuclear and missile programs. Big, gray and boxy, CNC machines use pre-programmed guides to produce intricate parts for everything from automobiles and mobile phones to furniture and clothes. They offer accuracy that human machine tool operators are unable to achieve. 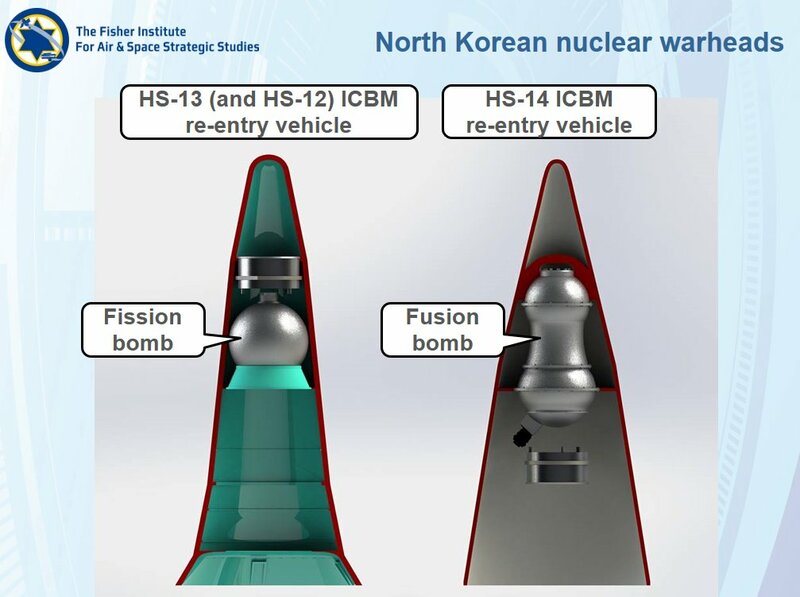 "North Korea's centrifuges and new missiles all depend on components made with CNC machine tools," said Jeffrey Lewis, head of the East Asia Nonproliferation Program at the Middlebury Institute of Strategic Studies in Monterey, California. "(They) are the essential underlying technology for producing missiles and nuclear weapons," said Lewis. Since 1996, CNC machines have been included in the Wassenaar Arrangement — an international arms control regime aimed at stopping the proliferation of equipment with both civilian and military uses. North Korea is not a signatory. The country's celebrations of its CNC technology have been fulsome. Hundreds of dancers in luminous orange and green performed the CNC pop song, titled "Break through the cutting edge," at a Korean Workers' Party celebration in 2010. In 2012, the year the South Korean hit "Gangnam Style" was released, the North's CNC title was on karaoke machines nationwide, according to Choson Exchange, a Singapore-based company that trains North Koreans in business skills. The official video for the song opens with a long-range North Korean rocket soaring into a blue sky. Its first homemade CNC machine was introduced in 1995. Former leader Kim Jong Il gave the machine the "Ryonha" brand, according to a 2009 article in the country's official newspaper, Rodong Sinmun. That was the first time state media mentioned the technology. "By around 2010, it seemed they were capable of manufacturing various types of CNC machines," said Kim Heung-gwang, a North Korean defector who taught at Pyongyang's Hamhung Computer Technology University before defecting to South Korea. But it wasn't until 2013 that the Korea Ryonha Machinery Joint Venture Corporation, which produced the machines, was blacklisted by the U.N. Security Council for supporting the weapons programs. And it was only in August this year that U.S. intelligence officials told Reuters that North Korea likely has the ability to produce its own missile engines themselves. Pyongyang hailed the homemade machines as a triumph for its governing ideology of "Juche," which champions self-sufficiency. But that wasn't strictly true. In August 2016, state media released photos of Kim Jong Un visiting a factory using CNC machines with the logo of Swiss engineering firm ABB ABB.UL, one of the leading players in the global CNC machine market. It's not clear when or how the machine reached North Korea. ABB said the firm respects all applicable trade sanctions against North Korea, and undertakes not to deliver ABB equipment to the country. "That said, we cannot rule out that some of our equipment may have been resold to DPR of Korea without our knowledge or permission,"[/b] the company said in response to a Reuters inquiry, using North Korea's official title. A United Nations panel monitoring sanctions on North Korea said in a report this year that Tengzhou Keyongda CNC Machine Tools Co of China had been a supplier of Pyongyang's new CNC machines. A sales representative for Tengzhou Keyongda told Reuters the company stopped selling CNC machines to North Korea four years ago, and no longer maintains trade relations with the country. The biggest loophole has been that while some CNC machines are banned because they can have both military and civilian functions, most serve civilian industry. "Given their dual-use capability, you could even import the machines for other purposes, take them to pieces and use them however you want," said Lee. The Capitarist wirr serr u the lope with which 2 hang him. "Juche" at work in NoKo.Similar to our Swadeshi movement.Juche is the driving force behind all NoKo enterprise and national effort.Their mantra for progress and strength.India today has a new mantra Videshi! Soon we will all be speaking Chindi too! I thought this was totally disinformation, but if so they are doing it well. it took Defense Minister Song Young-moo two months since his appointment to detect this grave security breach that his predecessor tried to sweep under the table. A probe has now resulted in disciplinary punishment of 26 officials, including the head of the cyber defense command. If the same thing happened in North Korea they would all have been put in front of a firing squad, but here in South Korea such embarrassing lapses are swept under the carpet and forgotten about. Chinese police have advised a dozen South Korean missionaries working near the border with North Korea to leave due to fears of abduction or attacks by North Korean agents. Sources in the border city of Dandong and the South Korean Consulate in Shenyang on Wednesday said Chinese police advised the South Korean missionaries to go home earlier this month. One South Korean source in the region said, "We weren't coerced, but they explained that in view of the threat it would be advisable for us to stay out of China until the Communist Party Congress ends." Some South Koreans were summoned to police stations but were not told exactly what threats they faced from North Korea. Dandong is a hotspot for North Korean agents trying to sniff out defectors who have fled across the border, and it is a more or less open secret which hotels they frequent. South Korean missionaries in the area mostly double as helpers for defectors on their arduous trek across China to Southeast Asia. North Korean troops have repeatedly practiced paragliding into the command center of combined South Korean and U.S. forces in Seoul recently, according to a military source here. Paragliding is a leisure activity in South Korea but seen by North Korean special troops as a new means of infiltrating the South. "The North's special forces practiced for several days in mid-September paragliding to infiltrate and seize the South Korea-U.S. Combined Forces Command headquarters in Yongsan, Seoul," the source said. The special troops were practicing infiltration into a mockup of the CFC headquarters at a training ground, the source added. Paragliding equipment weights only 3 to 4 kg, so it can be easily carried around mountainous terrain. It would not be easy to detect North Korean paragliders with radar. Kim's crew are entertaining, if nothing else! This event occurred in the area of the previous North Korean Nuclear tests. The event has earthquake-like characteristics, however, we cannot conclusively confirm at this time the nature (natural or human-made) of the event. The depth is poorly constrained and has been held to 5 km by the seismologist. The Air Force Technical Applications Center (AFTAC) is the sole organization in the U.S. federal government whose mission is to detect and report technical data from foreign nuclear explosions. 5km depth would indicate eqk. Expect eventual increase in Richter number once all stations report the data. ramana, Gerard, Is it possible to send a nuke down a 5000 m shaft? How deep are oil wells? Then again, 2.9 is petty, those occur in most places, even Malloostan sees like 4.0. Houses vibrate. I think if they have figured out how to do tests deep in 5km shafts, they can have pretty powerful ones go off, hain? All media Chinese lifafa, IMO. Global ratings firm Fitch said Thursday that a war between North and South Korea is unlikely, quelling fears of a credit downgrade for the South. "While the current level of tension is high, strains on the Korean Peninsula are not new," Fitch said in a statement. It pointed to a similar "pattern of rise-and-fall cycles" in the past and maintained South Korea's sovereign rating at AA- with a stable outlook. The rating has been unchanged since September 2012. However, Fitch noted that increasing geopolitical risks on the Korean Peninsula could have a negative impact on South Korea's economy by exacerbating business and consumer sentiment. It added that South Korea's solid growth trend and sound fiscal conditions are positive factors but cautioned against the country’s high level of household debt. UlanBatori wrote: ramana, Gerard, Is it possible to send a nuke down a 5000 m shaft? How deep are oil wells? Then again, 2.9 is petty, those occur in most places, even Malloostan sees like 4.0. Houses vibrate. I think if they have figured out how to do tests deep in 5km shafts, they can have pretty powerful ones go off, hain? The subject is a hairy one and will simply rake up old emotions - but the easiest way to judge a nuke yield AFAIK is atmospheric testing. Failing that it has to be cavity sampling. All indirect sensors are subject to errors. 5 km down would be a pointless test. Simply a demonstration of capability, not a "test"
Cage-rattling starts again. Guam threat revived. "We have already warned several times that we will take counteractions for self-defense, including a salvo of missiles into waters near the US territory of Guam," the KCNA report quoted Kim Kwang Hak, a researcher at the Institute for American Studies of the North Korean Foreign Ministry, as saying. "The US military action hardens our determination that the US should be tamed with fire and lets us take our hand closer to the "trigger" for taking the toughest countermeasure," Kim added. The latest warnings from Pyongyang follow weeks of rising tensions, which promise to escalate further when the US and South Korea joint naval exercises begin Monday. Joint military exercises are particularly infuriating to Pyongyang. The North Korean government views them as a dress rehearsal for an invasion -- even as the US insists they are purely defensive in nature. But look at the nice composite woven fuel tank. These fellows could make a lot of money selling those to petrol bunks, hain? More like "Hold Me Back Before I Teach Him a Lesson!" from both sides. Beloveds! Pls to look at the pic in this article onlee. Why does the submarine looks bent? Surely they cannot bend the hull? Crafty b*gger Kim-3! If he indeed stole the US's cyberwarfare weapons,then no wonder he's smiling in the pics launching missiles,etc! He may redirect Trump's "farting" towards Tokyo instead what?! North Korea was behind the WannaCry attack which crippled the NHS after stealing US cyber weapons,the head of Microsoft has claimed. The cyber attack in May was the largest in the NHS's history and put lives under threat as hundreds of operations were cancelled. It led to ambulances diverted as p to 40 hospital trusts became infected by a “ransomware” attack demanding payment to regain access to vital medical records. Now the President of Microsoft has told ITV News that the government of North Korea was responsible for the attack. Brad Smith said he believed "with great confidence" that Pyongyang was behind the hack which impacted 200,000 computers in 150 countries around the world. "I think at this point that all observers in the know have concluded that WannaCry was caused by North Korea using cyber tools or weapons that were stolen from the National Security Agency in the United States," he said. North Korea has been widely linked with the WannaCry cyber-attack but this is the first time that an executive at Microsoft has blamed the administration publicly. Mr Smith says cyber-attacks by nation-states have become more frequent and more severe: "I think over last six months we've seen threats come to life, unfortunately, in new and more serious way. The problem has become bigger"
He believes that as societies becomes more reliant on technology so the risk increases that vital public services and elections will be targeted by state-sponsored hacks and has called on governments to do more to protect their citizens from harm. "We need governments to come together as they did in Geneva in 1949 and adopt a new Digital Geneva Convention that makes clear that these cyber-attacks against civilians, especially in times of peace, are off-limits and a violation of international law," he added. Shortly after the WannaCry attack Microsoft itself faced criticism. Many of the NHS hospitals affected by the malware virus were using XP - an older version of Windows - which Microsoft had decided to stop supporting. Microsoft XP is 17 years old but one in 20 of the NHS’s thousands of computers – five per cent of the total – are still fitted with the programme. The attack meant vital equipment, such as MRI scanners and X-ray machines, had to be taken offline as they could not be repaired immediately. "When hospitals think about the equipment that is critical to protecting their patients they've got to think not only about the beds. Computers play a fundamental role in the delivery of healthcare and patients shouldn't have to rely on healthcare based on an old computer." Jim Schoff, a former senior Pentagon adviser for East Asia policy, told the AP the B-1B flights were not just intended to signal US resolve, but to practice making the long flight from Guam where they are based, and "to get a feel for what kind of air defences North Korea has and how we see them react". That sounds like deliberate cage-rattling to NoKo, to launch towards Guam. Mr Kim’s commentary..: “What should not be overlooked is that such military moves have been conducted at a time when the Trump group posted on Twitter such letters reading that the US failed to handle North Korea for the past 25 years and only one thing will prove effective, while frequently hinting at ‘military option’ backed by such rubbish as ‘a calm before a storm’ and ‘total destruction’. "The comments came just days after Mr Trump said "only one thing will work" with North Korea and referred to "the calm before the storm". The DPRK commentary also said the US actions justified the continuation of its nuclear weapons programme, which has been widely condemned by the international community. Duh! Timing of war clarified. I went and ate a Paper Masala dosa in preparation. Now I feel like a rocket myself. Gray paint seems cleaner on the British carrier than that on the USS Ronald Reagan. Must be so much more time in the showroom. Meanwhile, hints of Comrade Putin's game: Reunification under Russian Benevolence? Russian Senate head to discuss nuclear program with North, South Korea. A senior official in the Russian parliament will discuss North Korea's missile and nuclear program in separate talks with parliamentarians from Seoul and Pyongyang on Monday, TASS news agency said. Valentina Matviyenko, speaker of the Senate upper house, will discuss the issue with a deputy head of North Korea's legislature and the head of South Korea's parliament on the sidelines of a congress of parliamentarians in St Petersburg, TASS quoted a senior Russian lawmaker as saying. All the lungi-shivering so far has been about cheen dominating a united Korea. The Russians were left out of the calculation, always a bad move. Russia could become the security guarantor of a united Korea. It had never occurred to me until just now that the B707 event on Mont Blanc was directly related to the sorry result for Patton tanks and Sabre Jets in 1965. Valentina Matviyenko, speaker of the Senate upper house of parliament, is due to discuss the issue in separate talks with a deputy head of North Korea’s legislature and the head of South Korea’s parliament on the sidelines of a congress of parliamentarians in St Petersburg on Monday, TASS quoted a senior Russian lawmaker as saying on Saturday. TASS cited a Russian parliamentarian at the time as saying Moscow would call on the two countries to use the opportunity to have direct talks to try to narrow their differences. But the RIA news agency on Sunday cited Piotr Tolstoi, the deputy speaker of the Russian lower house of parliament, and an unnamed member of North Korea’s delegation as saying there would not be any direct talks. UB, You should visit the 1965 war thread. Even CHIC 4 test was after the Asal Uttar Patton kheema. The grapevine has it that Trump is all gung-ho, ready to kick Kim-3's backside to kingdom come. US warplans are ready,forces awaiting the greenlight from Mordor,aka Trump Towers,to launch his nazgul at Kim. He's just awaiting an uncontrollable "fart" from Kim-3,who will end up as "kimchi" instead! Shrillary speaks with insider knowledge. North Korea's niclear warheads for ballistic missiles. Things are really going downhill as the Trumpeter sends in another N-sub to the region. As the birdy chirped,"Trump's finger is on the trigger with the safety catch off"
Austin where are those slides from? Any more there? USS Michigan in SoKo with 150 Tomahawks and two SEAL modules aboard.Speculation that the SEALs are there to decapitate the NoKo leadership should the balloon go up. I bet they'll have a transparent elevator shaft with the cab shaped like a W-88? "The North Korean Navy comprises 430 patrol combat ships, 260 amphibious landing craft, & 40 support ships. Also 70 submarines, making it the largest submarine fleet in the dunia"
The 70 submarines include 43 patrol combat ships and 26 amphibious landing craft which, once launched, promptly submerge. BBC this morning had a Chinese prof from Beijing who was speaking about Xi JInping losing tolerance for Kim Young Un's nuclear antics. He claimed Noko was on edge of a cliff and one more test either missile or nuke would make Xi push them over it.